Timeless look of gravel driveway, without the loose stone. Pressure Washing & Driveway Sealing..
uPVC Facias, Soffits & Guttering..
Beautiful Driveways.. Adding real value to your property ..
We are a local and reliable team of experienced hard landscapers and building professionals. We offer a range of exterior services for your home, garden or business..
"Free no obligation advice and quotations." Experienced and professional service. With a 5 year guarantee given on all works. We offer free no obligation estimates and advice for all aspects of groundwork and hard landscaping. We are able to clean, seal and revive patios, decking and block paving. Results are truly amazing and restoring an existing driveway or patio is many times cheaper then replacing it. We have the experience and knowledge to assist with brickwork, small foundations and fencing. 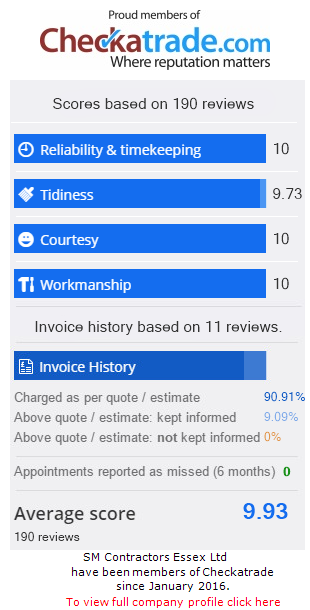 All work is guaranteed and we are always happy to provide free advice or an estimate. Tarmac and graveling is a very cost effective solution for hard landscaping, compared to other surfaces. However done incorrectly will not last or offer value for money. Call us for professional advice. Local & reliable building company you can count on! We are a professional and experienced building company specialising in property improvements and repairs. Our main business is Driveways, patios and hard landscaping. Although we also offer pressure washing of roofs, driveways and patios and general property maintenance. We also offer a uPvc facias, guttering and soffits fitting and repair service. All aspects of exterior maintenance..
No deposit.. You pay on completion when you are 100% happy..
With an experienced team we are able to offer exterior painting and repairs to your property. All exterior painting work is guaranteed for 10 years. We are able to renew your driveway, patio or even your roof with our specialist pressure washing service. Cleaning is many times cheaper then replacement and our customers are always amazed by our results. We have an experienced team of uPvc fitters. We are able to replace facias, soffits, guttering and cladding. We offer very competitive prices and all our work is guaranteed for 10 years. 10 Year Guarantee and No Deposit. All our workmanship and products supplied are guaranteed for 10 years. With a no quibble policy. All quotations are put in writing with a cooling off period. We do not take any deposits up front for works and you only pay after completion when you are 100% satisfied with the final results. Call today for a free site visit and a free no obligation quotation!